Welcome to Keep It Classical, the media resource devoted to the progress of classical music. That may sound like an oxymoron and in fact, it is! The term “classical” music is actually a misnomer. There is only one classical era and it lasted, roughly, from about 1750-1820, give or take a decade or so on either side. What “classical” music is, however, is a collection of ideas, it’s a philosophy. Like all great philosophies, classical music will evolve. The ideas change but the spirit remains the same. Classical music is music that moves you, challenges you, entertains you and changes you. Great composers throughout the centuries have changed the tide with their music. Then something happened. We as a culture (I’m not just referring to Americans either) stopped consuming this life-altering art music. We became stagnant in our appreciation of classical music. Certain crowds moved away from it. Concerts became a vehicle for society’s upper crust and an ever-shrinking populace of true music lovers. In return, many 20th century composers revolted against convention by composing music that, while clever and well thought out, was ultimately unappealing to the masses. There is no shortage of new music but the divide between audiences and what is new is suffering from it’s widest gap in history. Therefore it is Keep It Classical’s mission to lessen that divide. To rebuild the bridge between audiences and musicians. To lessen the intimidation of the concert hall and to encourage classical music to embrace the 21st century. Keep It Classical promises to remain true to the masters of the past and from there, we will move the art form forward by celebrating the innovators and game changers. 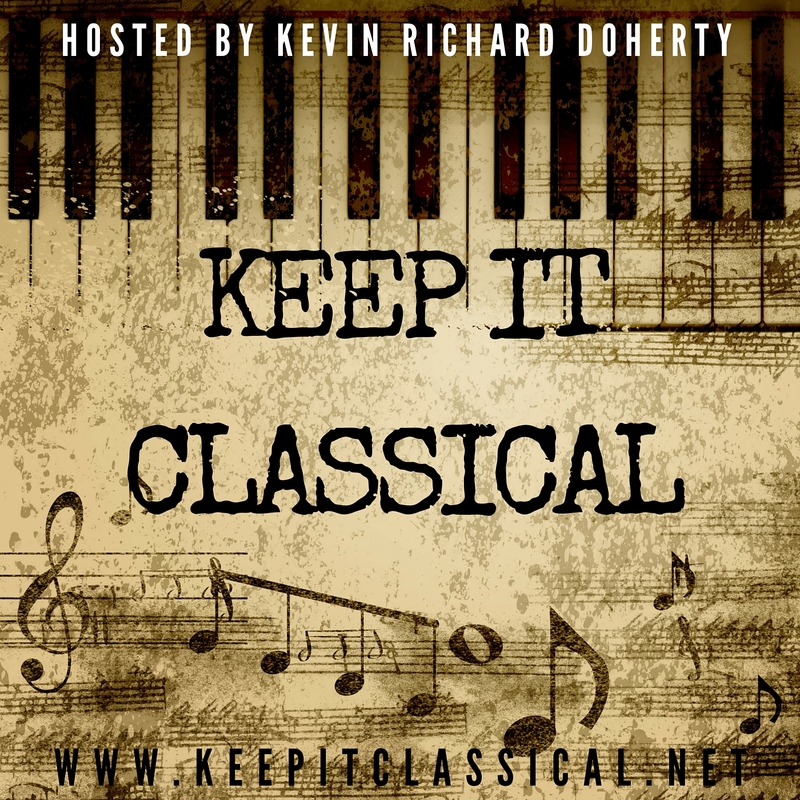 Keep It Classical is a full range media resource for classical music and will consist of everything from headlines to articles to audio and video and, of course, the Keep It Classical Podcast. KIC curates events from around the country along with all kinds of classical playlists. We welcome your comments and suggestions and thank you for stopping by! Kevin Richard Doherty is the Morning Drive Classical Host at Capital Public Radio in Sacramento, California. Doherty has dedicated much of his life to making classical music a more personal experience for veteran audiences and newbies alike. He began his music career singing karaoke at 15 years old which eventually led to a career on the operatic stage. in 2013 Kevin and a friend founded Marble City Opera in Knoxville, Tennessee. MCO is a chamber opera company performing lesser known works in alternative venues. Doherty’s brand is K. Doherty Entertainment, a company dedicated to promoting and producing “score to table” classical music.